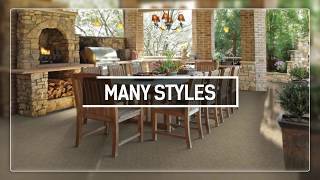 RESILIENT, DURABLE & AFFORDABLE Floors that work hard so everything else is easy. 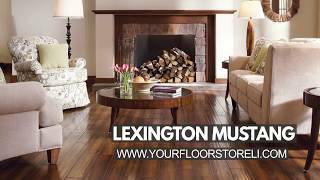 Opting for luxury vinyl plank or luxury vinyl tile flooring versus true hardwood or ceramic tile isn’t about choosing a less expensive product- it’s about selecting a better flooring option. 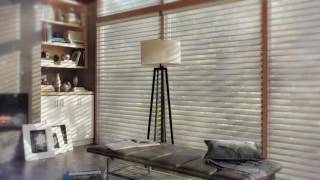 Vinyl flooring is one of the most resilient, versatile and affordable flooring options you can buy. 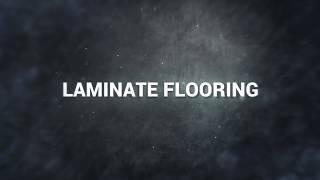 Depending on the surface you choose, material costs can be up to 70% less than other flooring materials. Plus, vinyl is available in more styles than ever before so it’s ideal for the kitchen, bathroom, laundry room and entryway. Simply pick the pattern that fits your needs at the price you can afford! 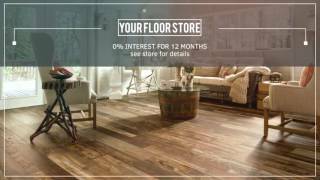 As you can see from our brand selection above, we have many Centereach vinyl flooring options to choose from. We always recommend stopping by our showroom to see all of the possible patterns and vinyl looks we have in stock. We are conveniently located at 1800 Middle Country Rd in Centereach, New York. We proudly serve all of Long Island particularly Suffolk County!